LISLE, ILLINOIS (March 13, 2014) – Midwest Real Estate Data (MRED), Chicagoland’s multiple listing service (MLS), announced today that its President and CEO Russ Bergeron has been named to the DocuSign Real Estate Advisory Council. The inaugural meeting, with attendees from across the real estate spectrum, was held on March 4th during DocuSign’s MOMENTUM 2014 user symposium in San Francisco, attended by 1,200 DocuSign fans. DocuSign enhances its customers’ experience with improved transaction cycle times while speeding revenue generation, reducing costs, and boosting customer satisfaction with the easiest, fastest, most secure global network for sending, signing, tracking, and storing documents in the cloud. DocuSign is the official and exclusive electronic signature provider for the over one million members of the National Association of REALTORS®, and a proud partner under the REALTOR Benefits® Program. 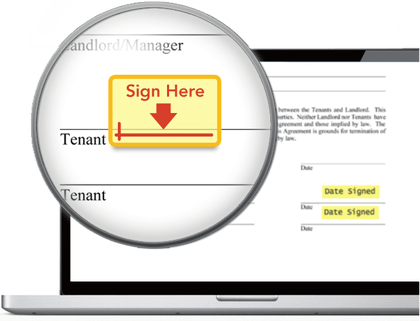 As a partner to MRED, DocuSign brings a complete web-based eSignature solution to MRED customers that is integrated into the forms on MRED’s MLS system. 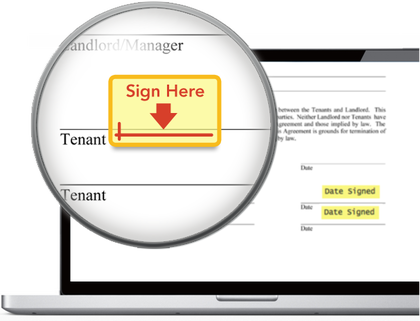 It’s the smart, secure way to electronically send, sign, track and store documents from real estate transactions. Also serving as a member of DocuSign’s advisory council is a representative from one of MRED’s largest customers, Baird & Warner’s Chief Technology Officer Mark Steward. DocuSign partners with Cartavi to simplify real estate transactions. DocuSign, the Global Standard for eSignature, announced that it has acquired Cartavi, a leading provider of collaboration services for real estate transactions. This combination, along with a deeper integration with existing partner, zipLogix, will allow users to easily and securely manage end-to-end real estate transactions anytime, anywhere, on any device – complete with forms, collaboration and eSignature in one. DocuSign’s acquisition of Cartavi comes after an 18-month strategic partnership where the companies developed joint solutions to help real estate professionals accelerate speed to results, reduce costs and please clients. DocuSign’s longer partnership with zipLogix builds upon an existing eight-year integration where zipLogix customers have been able to DocuSign directly from zipForm. Now, customers will be able to use all three industry-leading products in combination over the web, on tablets, and mobile phones. Further integration is planned to make it even easier for all parties involved in real estate transactions to close deals faster. DocuSign and Cartavi will continue to operate within their existing office spaces while collaborating with zipLogix on further integration of their solutions. Cartavi will officially change its name to Cartavi, A DocuSign Company. The terms of the acquisition were not disclosed. Click HERE to read how MRED is helping Agents close real estate deals faster.